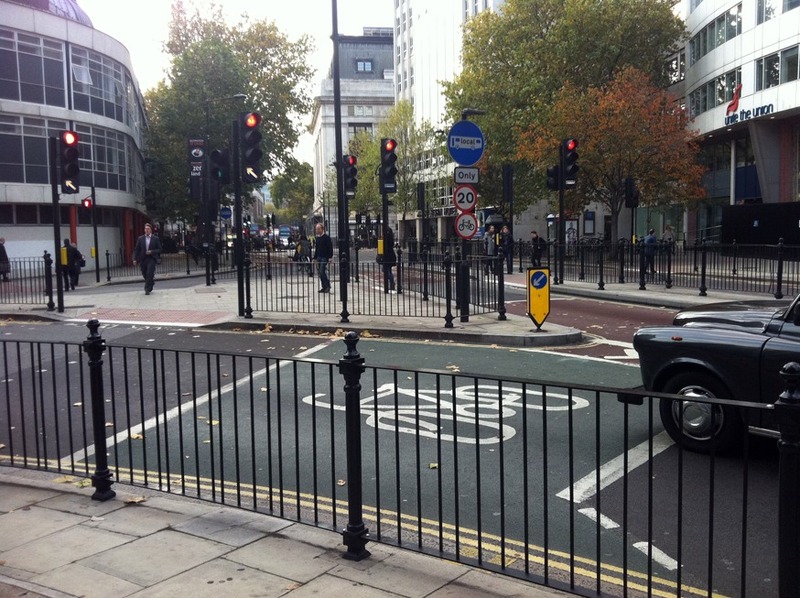 As in most UK cities London's streets are cluttered and tangled with pedestrian railings, barriers and planning concepts. Desire lines are denied, corraling walkers into a variety of behaviorial strategies and ideas. Staggered pedestrian crossings are designed to direct users towards traffic making them more aware of oncoming cars.